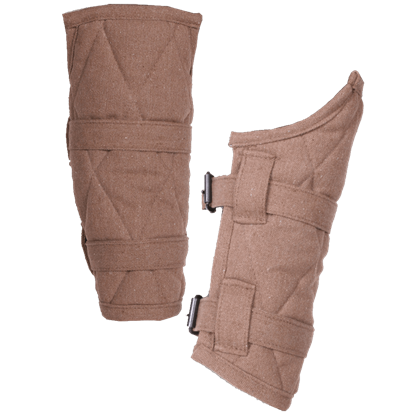 When you want excellent protection during battle, the Arthur Canvas Gambeson Set is your ideal solution. 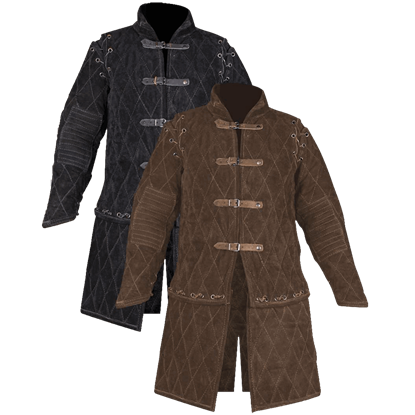 The padded armour includes a gambeson, tassets, and sleeves in a versatile set that can be worn in different combinations. 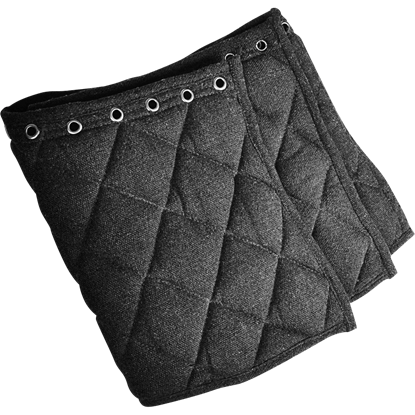 The ideal armour padding for your next re-enactment battle, the Arthur Long Gambeson extends from neck to knee. 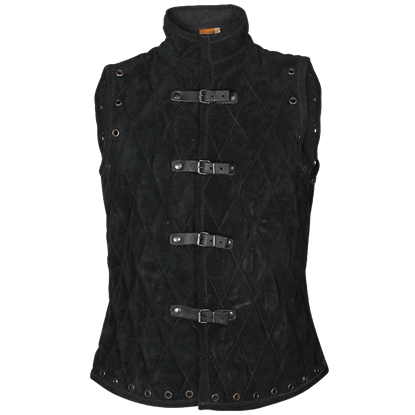 The top-stitched gambeson vest can be worn under many kinds of armour to help prevent rubbing and pinching. 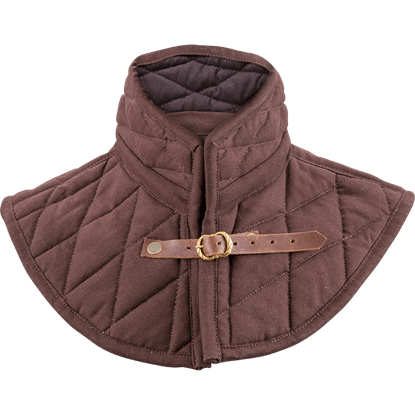 Perfect for pairing with our other Arthur arming wear, the Arthur Padded Collar is an excellent piece to wear under chainmail or steel armour. 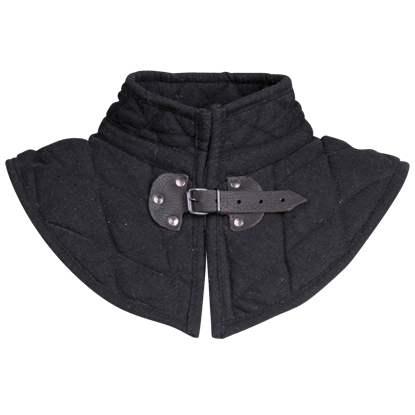 The medieval collar increases comfort by preventing chafing and pinching as you move. 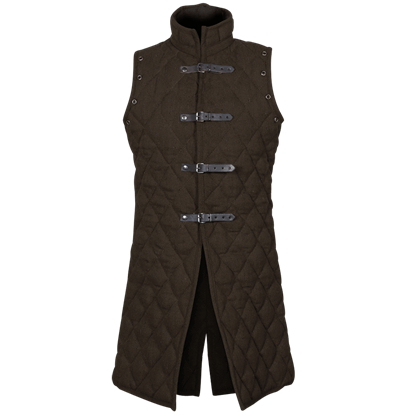 An excellent option for protecting yourself in battle, the Arthur Padded Gambeson appears in a sleeveless vest design. 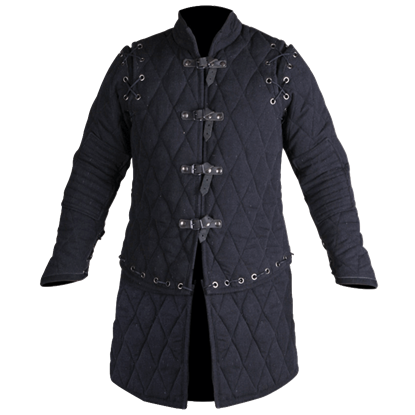 The medieval gambeson can be worn under many kinds of re-enactment armour to help prevent rubbing and pinching. 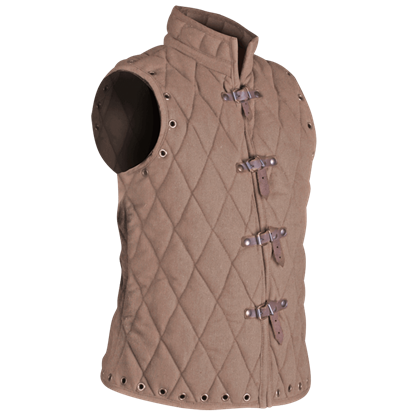 This suede vest makes an excellent addition to your re-enactment gear with its quality construction. 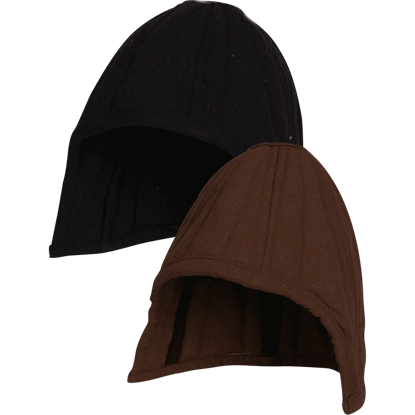 The Arthur Suede Gambeson offers armour padding that can be worn under many kinds of armour to help prevent rubbing and pinching. 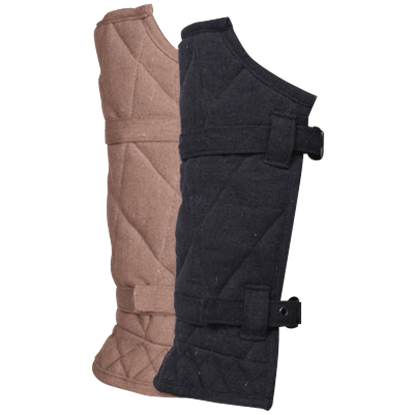 Made of high-quality materials, the Arthur Suede Gambeson Set includes a vest, tassets, and matching long sleeves. 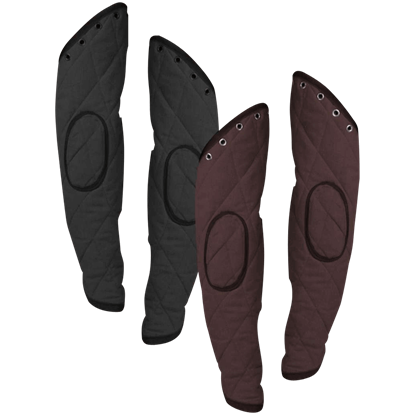 With protective polyester padding and an inner cotton lining, this gambeson set is ideal for wearing under armour.